Job description: Make your own hours. Be your own boss. Gauge risk versus reward. May or may not require investors. Salary is based on individual success. The job description above could be applied to a poker player or an entrepreneur. Given the similarities, it’s easy to see why there are so many cases of crossover. Not only do both require many of the same characteristics for individuals in each field, but they also require the same knowledge of the financial logistics. Successful poker players have large amounts of cash, making them a simple withdraw away from start-up capital for a company. Successful entrepreneurs like venture capitalist Bill Perkins and creator of SillyBandz Robert Croak, who have both been featured on televised high-stakes cash games, have access to an instant poker bankroll. This makes it an easy transition into the game for many businessmen, which is something Victory Poker CEO Dan Fleyshman knows all about. Before going into business in poker, Fleyshman started a licensing company while in high school and eventually became the youngest owner of a publicly traded business. Pre-Black Friday, Victory Poker was quickly growing in popularity, and the edgy, sometimes controversial marketing for the site was paying off. Unfortunately, after the indictments, Fleyshman shut out U.S. players. He is still focused on keeping the brand fresh and in the public eye, in hopes of resurrecting the site if and when poker becomes legalized in the United States. For now, as far as poker goes, he’s got more time play and uses his business savvy to help him at the tables. Fleyshman says there are multiple reasons why poker players should be investing in business ventures. It’s a way to diversify, add additional income or tax deductions, and network. With more than a decade of experience, Fleyshman advises that any poker players looking to jump into a business venture need to make sure there is good sound management. 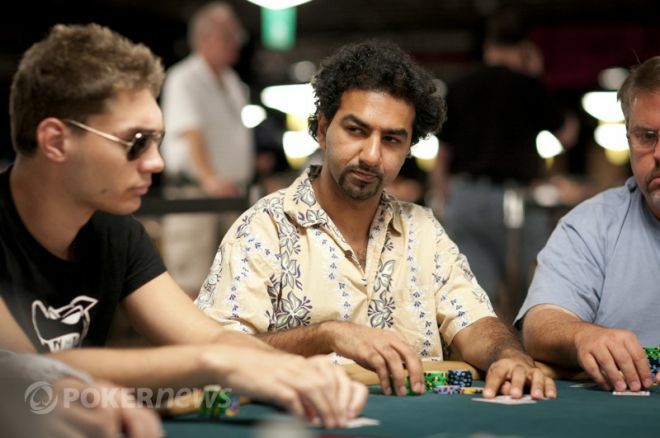 Jaka says that one thing people learn in poker is to not worry about short-term results. Not worrying about short-term results can come in handy in business because start-ups can often take years to show a profit. While logical thinking and strong emotional control are essential to do well as both an entrepreneur and poker player, Taylor Caby thinks that the success rate for crossover isn’t as high as many people would think. Judging by Caby’s success so far, crossover wasn’t an issue for him. Caby first entered poker as an envelope-pushing player under the name “Green Plastic.” Then he co-founded CardRunners, the largest online poker training sites in the industry, and his latest business venture is DraftDay, a daily fantasy sports betting website. “I think poker helped a lot with developing who I am, and that is someone who likes to take reasonable risks to make money. Before starting DraftDay, I definitely learned a lot about being in business for myself from CardRunners. Things like 100 percent dedication to your job, treating other people with respect, being willing to try, and fail, at new things without getting discouraged, etc. Those are things I learned from being in business for myself mostly, but also somewhat from poker,” Caby said. Because the job descriptions are so similar for entrepreneurs and poker players, there will always be crossover, but only a select few will succeed. Thus far, Caby, Jaka, and Fleyshman are prime examples of how to do both, and it’s almost certain that they won’t be the last. World Poker Tour Five Diamond Classic: Daniel Alaei Wins!